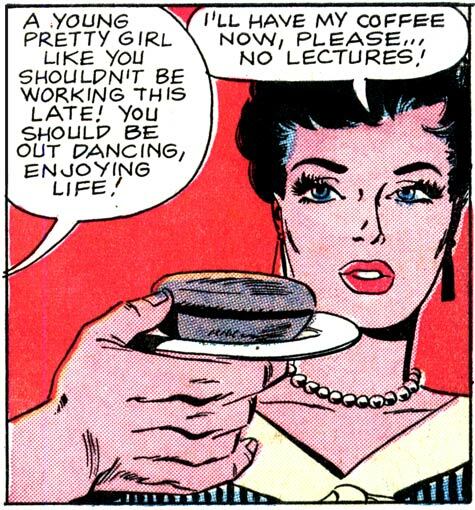 SCENE: Someone tries to hand a young woman a pastry. CAPTION: The Super Model Diet! WOMAN: No, thanks! I ate last year and I’m still full!